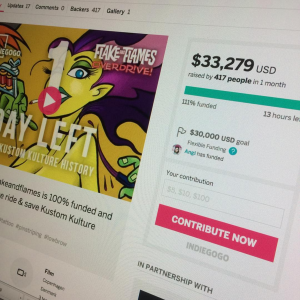 In December 2015 we successfully raised more than $30.000 by crowdfunding on IndieGoGo to fund the making of the Flake and Flames Overdrive DVD Box Set. When we where making the original documentary we shot a ton of super cool material that we never got to use in the original Flake & Flames Documentary. We are literally sitting on the most important Kustom Kulture interviews of our time and we want to conserve this piece of important legacy for you and for generations to come. Flake & Flames Overdrive will be jam-packed with all the coolest names in the Kustom Kulture world! 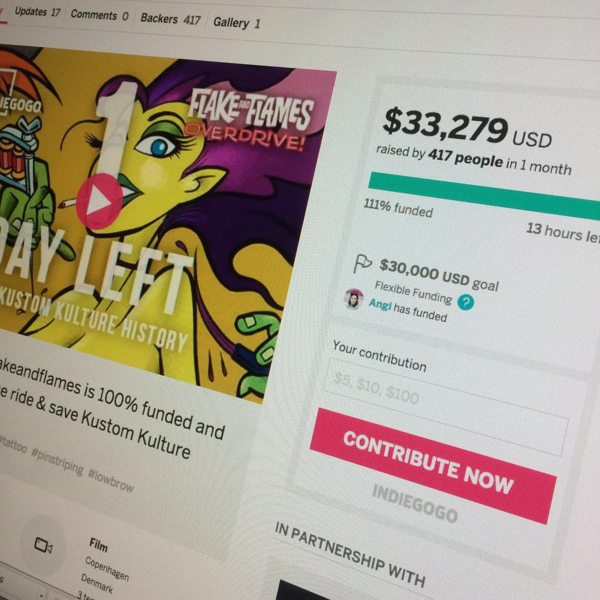 The box set will feature full length work sessions with awesome Kustom Kulture artists like Von Franco, Vince Ray, Von Sven, Coop and many more! There are also Kustom Kulture legacy solo features with Doug Dorr, Pekka Wizz, Kutty Noteboom, of course The Pizz (RIP)…and more. The DVD Box Set is planned to be release in April 2016.